Vendors are a vital part of your success. The vendor database includes many components to keep records of vendors organized. With auto fill capabilities, the system will auto populate this information to other sections of the software for ease of access. 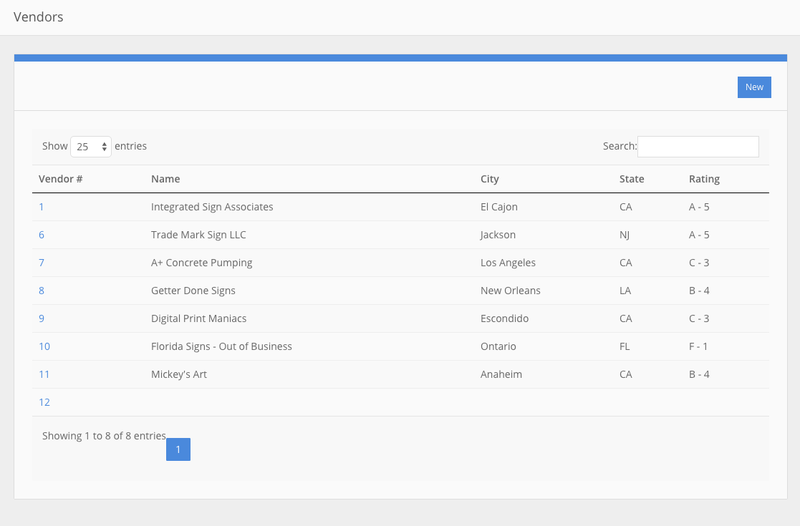 Once entered, you will have started your own sign vendor search feature that will allow you to keep track of every purchase order placed to each vendor. With the ability to grade each vendor on their performance you will not have to remember who you provided quality service and who dropped the ball. The more you use this feature, the more you will love how it keeps track of everything for your peace of mind.